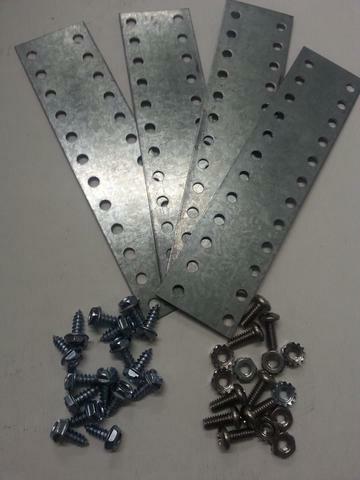 Multi Pass Condenser Universal Mounting Bracket Kit. Used with Condensers #BPE6690, BPE6691, & BPE6692. Comes with 4 Brackets, prepunched and very easy to Shape and Bend to fit for any application of Install. Includes Fasteners.